I’m All About The Base!! 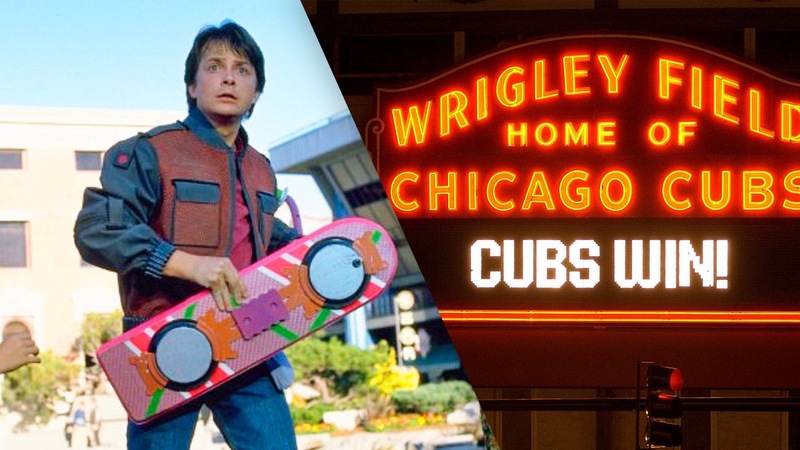 Well, Chicago Cubs Fans, and Back To The Future Fans, they did it!! The Cubs won the World Series. Sorry Grey’s Sports Almanac, you were off by one year, but still impressive. The 108 year old curse is now over!!! I admit, The Minnesota Twins are actually My Team, but to see something that no one has seen in 108 years, yeah, pretty impressed. Next The Bases Are Loaded! !